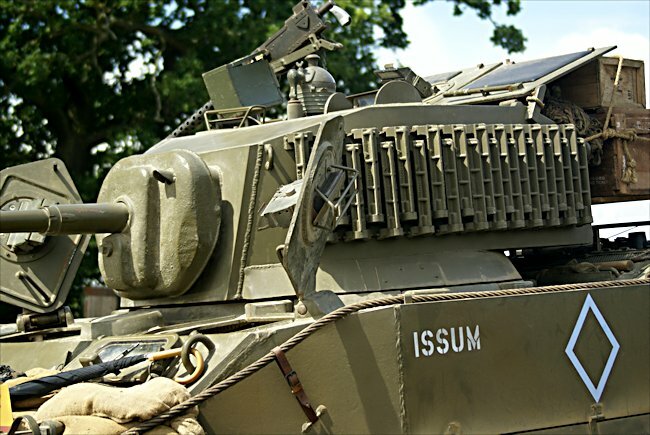 These M5 Stuart Light Tank are in private ownership but can be seen at many of the military vehicle events during the summer in Britain. Powell Jones was a M3 Stuart Tank driver with the 4th County of London Yeomanry during the November 1941 North African desert battle of Sidi Rezegh. He recalls, "The enduring image retained by most participants was of chaos. Fighting could begin as much accident as intent. We spotted some other tanks quite near, which we assumed were ours. So did the Germans and it was not until we were on top of each other that the realisation dawned that the other tanks were the enemy. Instant pandemonium! Tanks milling about and firing away madly and scheming both in English and German on the wireless, both being so near to each other. It was my tank commander’s first tank battle and I don’t think he really knew what to do." Sam Bradshaw was with the 6th Royal Tank Regiment at Sidi Rezegh, "In a tank battle, you see, it is very difficult to identify who are your tanks. It was the same for them as for us. You are milling around, firing, sometimes you find yourself abreast of a German tank, you see the tanks going up, wounded, people burning – it is just chaos! Smoke is going up, ammunition exploding – it just went on and on. An RAF pilot flying over the Battle left an account of what he saw. "Guns were blazing on all sides as these land cruisers made for each other. It was impossible to pick out, from our position, which was which. Most of them were on the move, but there were several stationary and no longer firing. Several hundreds of them appeared engaged in a grim showdown. It was like looking down on some huge prehistoric arena with fire breathing scaly sided monsters pitted against each other in a terrific struggle. Lumbering slowly forward, swinging this way and that, each intent on the destruction of the other. It must have been a concentrated hell of shell against shell, steel against steel." German and Italian tank crews were instructed to pause, fire, then move. 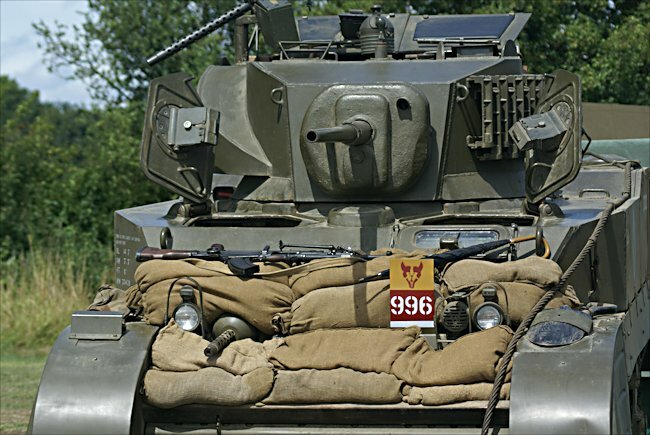 The British tank crews were taught to fire on the move, but they soon changed their ways after their first battle. Rash charges were the order of the day to try and get up close and find a weak spot at the side or rear of an enemy tank. Because of the range superiority of the new upgraded German tank guns many British tanks did not get to close with enemy. They were picked off before their tank came within range. During the Battle of the Bulge in 1944 in the Belgium Ardennes soldiers from the American 509th Parachute Infantry Battalion had been ordered to dig in near the village of Sadzot. They had been instructed to halt any enemy troops moving towards the main highway 300 yards to their rear. They had been in place for no more than 20 min. It was night time. Snow was still on the ground, it was freezing cold and most of the soldiers were shivering. They were expecting an attack. Suddenly an alarming sound struck there ears. An armoured vehicle, properly a tank, was clanking towards them from the direction of the village. This must be the leading element in the expected SS attack to cut the Erezee - Manhay road. As the American paratroopers peered intently through the darkness, their throats suddenly went dry, and knots developed in the pits of their stomachs. The sound of the grinding of tank treads on the road and the roar of the powerful diesel motor grew louder and louder. Moments later they could see the faint silhouette of the tank in the moonlight. 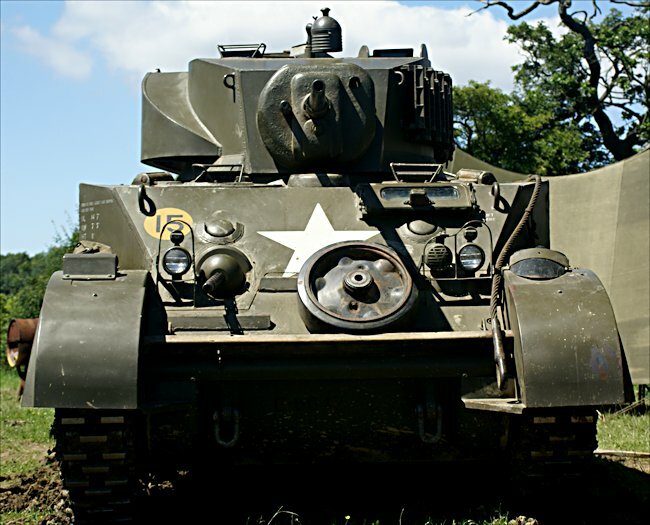 The tank moved closer to the Americans in the lane until it was only 30 yards away. Paratroopers new that the only way to kill a tank was to attack it when it was close. They held their fire and kept their heads down. The tank crew had not spotted the American soldiers. They had not opened fire on their position. Suddenly a bright orange flash burst forth from the hedgerow lined lane followed by a loud swishing sound. Someone in the American defence position had launched a bazooka rocket. The missiles struck the oncoming tank squarely bringing it to a halt. The powerful rocket had done its job. The tank crew disabled and its three man crew killed. After waiting to several minutes to see if anyone emerge from the tracked vehicle several American soldiers left the lane and cautiously approached the knocked out tank. As they got closer became evident that another tragic friendly fire incident had occurred. It was in light tank. 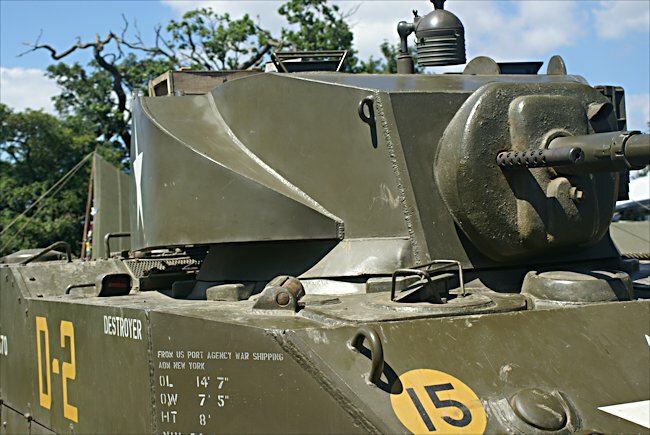 This fatal error occurred through fear, orders that applied only Germans would be coming up the road and failure to identify the vehicle before opening fire. This happened time and time again during World War II. 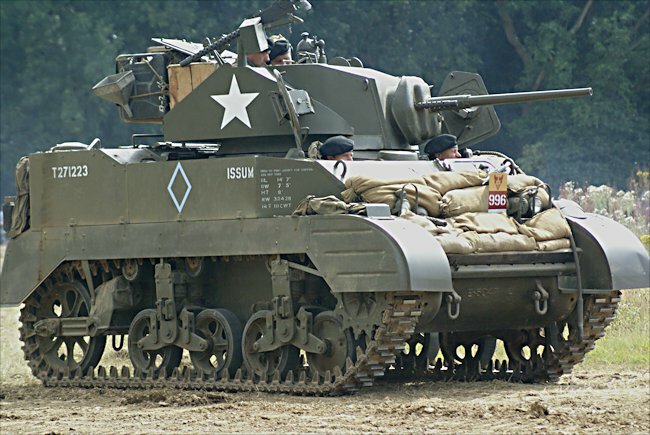 Where can I see more M5A1 Stuart Light Tanks?